This year is Adventure's 40th birthday, so it felt like a good time to do an homage. 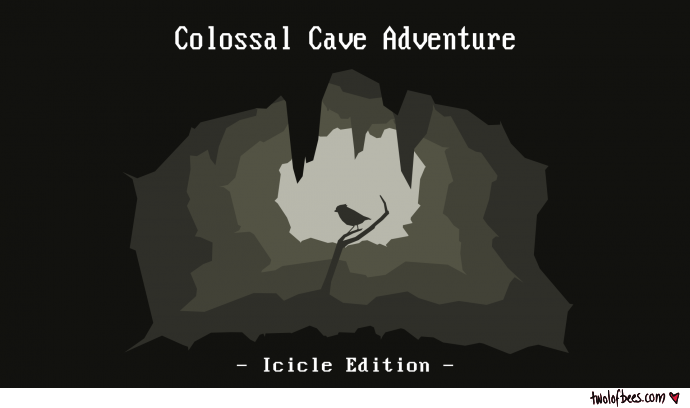 To celebrate, I've been working with my Dad on a remake of the original game in my first person/text adventure hybrid engine Icicle. This image is the splash screen I'm using for the game. It features a stylised cave and a small bird. The bird is involved in a very early puzzle and in some senses feels like an iconic part of the original game, so it was fun to find a way to work it into the images I'm using to promote the game. I released a demo today. More details and links to downloads can be found here.